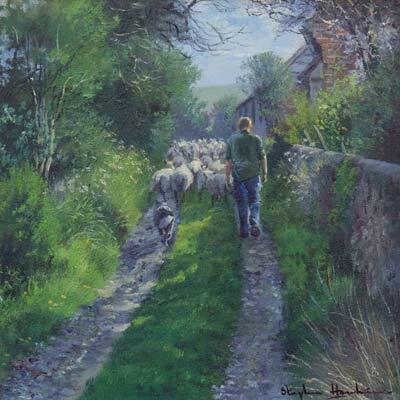 Terry Evans was born in 1943 in Romford, Essex and initially started painting for self-satisfaction, painting portraits, racing-cars and dogs. 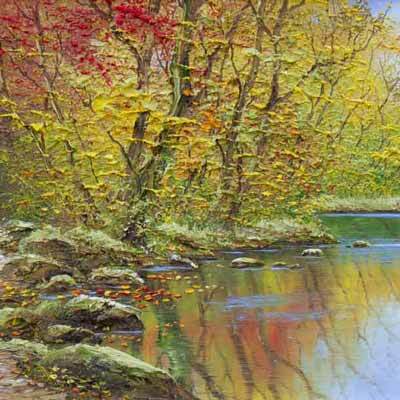 Terry experimented with water-colour and acrylics and then he tried oils. Terry explains that this was a turning point in his career as he found the expressive freedom of working in paint that stayed workable for days. 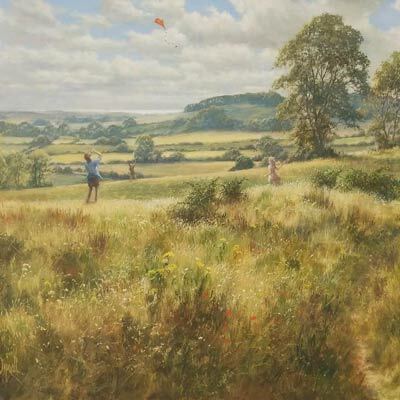 A second breakthrough came when he used oils to paint landscapes. By popular demand, he turned professional and for many years has enjoyed run-away success. Terry attended art school at Hornsey but his unique and distinctive style was inspired by the renowned artist, Charles Lifar. It is characteristic of Terry Evans that he openly acknowledges the debt that he owes to the older artist. But Terry has taken the approach further and developed it into a style uniquely his own. 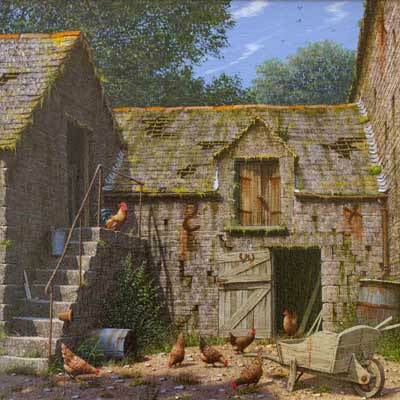 A “Terry Evans” is much more detailed, and crisper in technique than his mentor’s work. Not only does Terry wield his palette knife with aplomb but he also adds fine subtle touches with a thin long-haired sable. Terry has exhibited in his own one-man shows in Langres Gallery, New York, Stavanger Norway, Rubens Gallery Miami, Singapore, London and elsewhere. 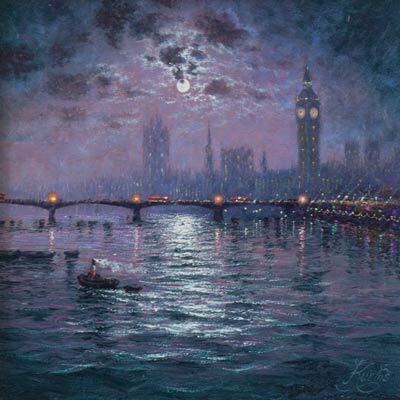 Terry Evans pictures are collected by a wide public, among others the Russian Ambassador to London, Barclays Bank and the Queen of Ghana, Saudi Arabia who gave him a personal gift of an 18-carat gold pen and pencil set when he delivered her paintings.